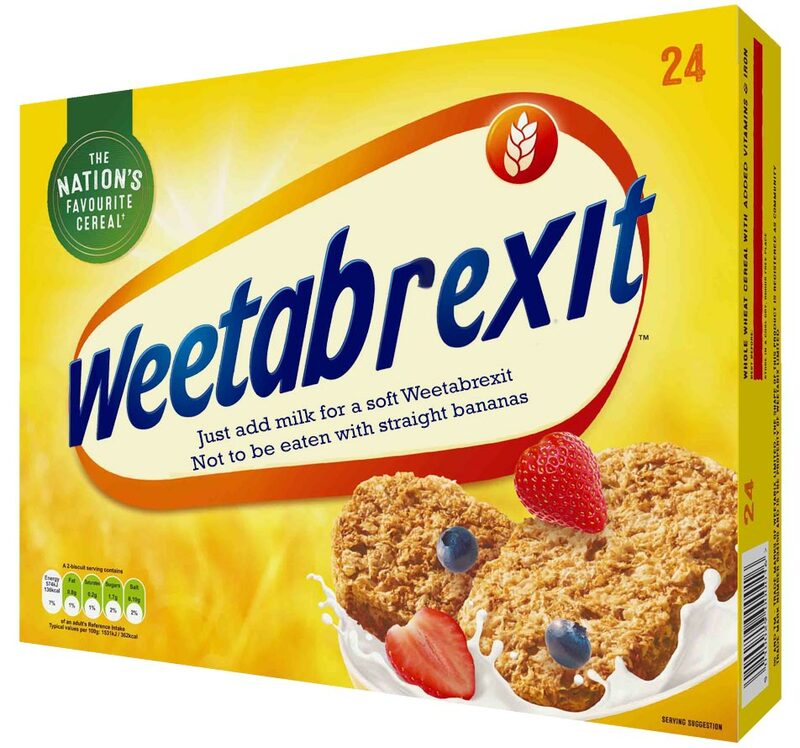 Breakfast cereal Weetabix is getting behind the anti-EU vibe that’s sweeping the UK by launching a special ‘Brexit’ version of its cereal, named Weetabrexit. The cereal goes on sale from next week in the UK, and will be available from Asda, Sainsbury’s, Tesco and Morrisons. The cereal isn’t just a PR stunt, either, as it carries a very important British message in that all of the ingredients, including the packaging, are sourced from the UK. There are no European sourced ingredients whatsoever within the new Weetabrexit cereal. Weetabrexit is giving the British people what they want: a cereal that tells Europe exactly what we think of it. Because all of the ingredients, and packaging, are sourced from the UK the cereal will cost £1.50 more than a standard box of Weetabix, but the cereal’s makers believe that British shoppers will pay a little extra to have that British experience. It’s more expensive, for sure, but can you put a price on independence? Can you put a price on being British? We have, and it’s £1.50. Well worth it I say. The new breakfast cereal can be eaten without milk, for a hard Weetabrexit, or you can add milk for a soft Weetabrexit. You are also able to add fruit, but it suggests you stay away from European ‘straight’ bananas. Will you be buying the new Weetabrexit when it’s available? Let us know in the comments below.